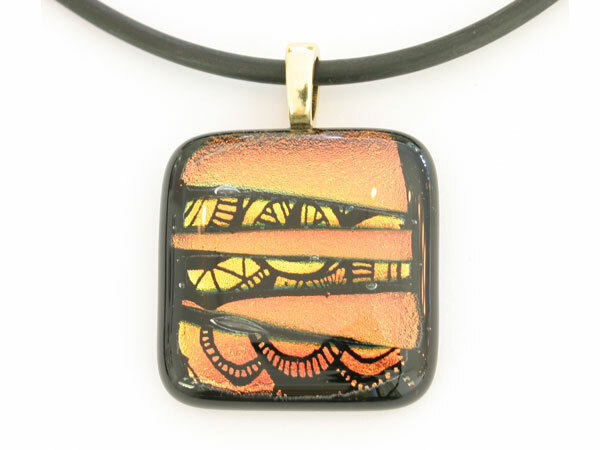 One-of-a-kind Dichroic Glass Pendant on a gold plated bail with 18″ black rubber cord. Please contact us if you would prefer to buy the pendant without a rubber cord or if you would like to a 14 carat rolled gold chain or a gold plated neck ring. SKU: DicroicPorgo2. Categories: Jewellery, Pendants.